As the political momentum heightens ahead of the forthcoming primaries of Peoples Democratic Party, the Director- General of Hon. Mathew Mofe Edema, MOG Campaign Organization, Hon. Kingsley Tenumah has blamed the fielding of unpopular candidate by PDP leaders in Warri South for the diminished number of votes recorded in Warri South Constituency 1 Bye- Election held April 2017 when compared to previous elections in the area. Hon. Tenumah who made the assertion Thursday August 16 at Warri South PDP Secretariat during the grand declaration of Hon. Mathew Edema for the Warri South Constituency 1 race, stated that the PDP will get it right in the area by “ allowing aspirants go to the field and the delegates decide” who to carry the party flag. Two- time Chairman of Warri South Local Government Area and strong contender for the Warri South Constituency 1 seat, Hon. 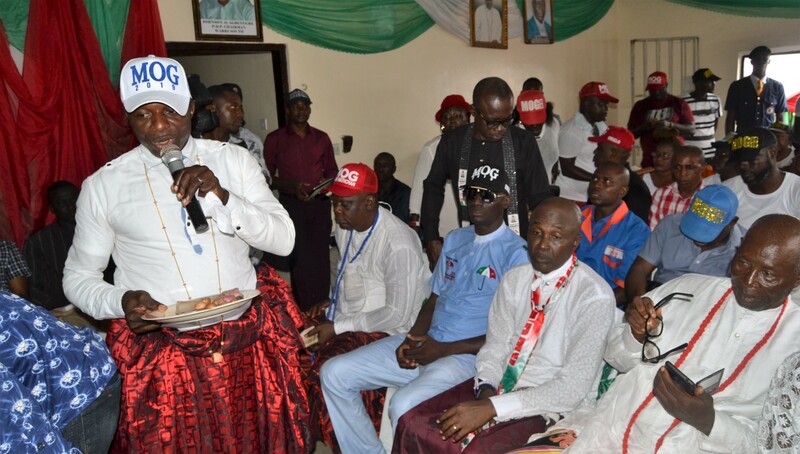 Mathew Edema while addressing the Warri South PDP executive, noted that the large number of people that accompanied him for the declaration “is not paid crowd”. Hon. 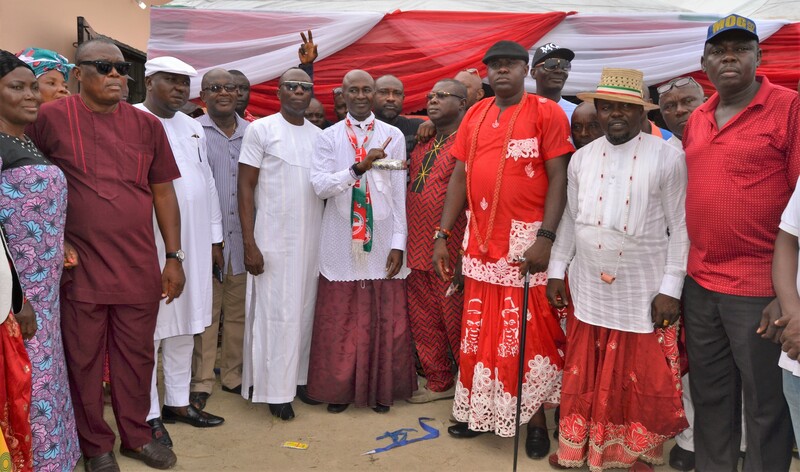 Edema who stressed that his achievements as two- time Warri South Chairman is there for all to see, averred that his experience as Council Chief Executive and relationship with the councilors, will come handy in his legislative function if given the mandate. The former Warri South Council Boss and ex- Special Project Director of Warri High Court, assured that no project will be abandoned in Warri South Local Government Area as he will focus seriously on his oversight function. He promised to attract development projects to his constituency and noted that people of Warri South Constituency 1 will experience positive result with him as their legislative representative. Warri South Peoples Democratic Party Chairman, Mr. Johnson Agbeyegbe in his response, described Hon. Edema as “a person” who performed as Chairman of Warri South Local Government and assured him as well as his campaign team of credible and fair party primary. Fresh Angle International can report that groups and associations that made up the large gathering of Hon. 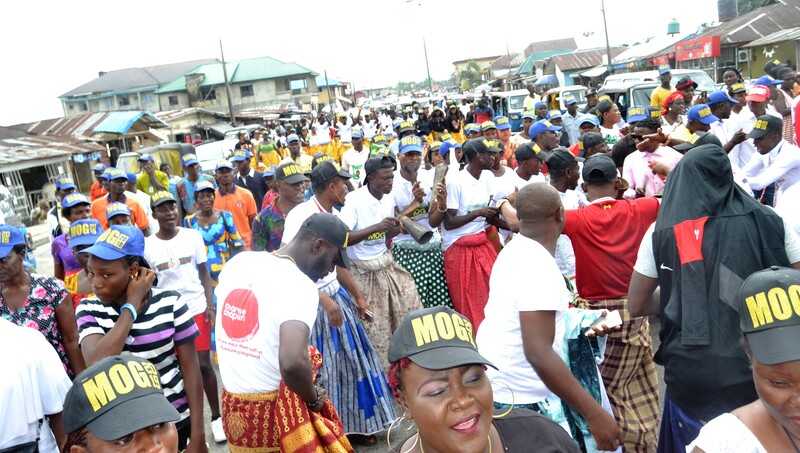 Edema’s supporters included: Nigeria Automobile Association, Warri South Chapter of NULGE, Royal Ambassadors, Yoruba Political Forum, Igbo Political Forum, Delta Democratic Platform, Pessu Market Women Association, Igbudu Market Women Association, Okere Community leaders, youths as well as women and past / present councilors of Warri South Council Legislative Arm.